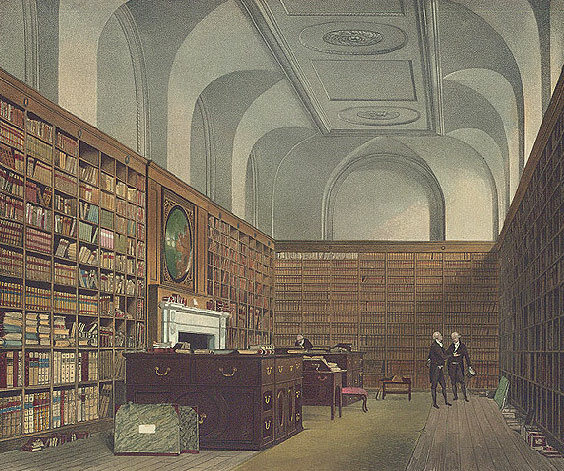 The King’s Library at Buckingham House (1819) by William Henry Pyne. Despite the many great resources available online and in person, all of which are well worth accessing, books are often still a writer’s best friend when it comes to research. Since I am indebted to various writers over the years who’ve used space on their websites to share their research recommendations, I’m sharing mine. I often write about things that aren’t always that easy to research (how to fight with a sword; how to summon a demon; what to do if there’s a zombie in your bathroom; etc. ), so discovering most of these books took time and effort that I am happy to spare you, if you need to learn about any of the same subjects. The books on this page are organized informally by subject matter, the way my physical library is. This is not a comprehensive list, but rather a selection of the books I have so far found the most useful when researching specific topics for my stories. A Pictorial Anthology of Witchcraft, Magic, & Alchemy by Grillot de Givry; trans. by J. Courtenay Locke (University Books, 1958; reprint edition). This is a fascinating reference book, with wonderful illustrations, on all sorts of esoteric arts. Fallen Angels and the Spirits of the Dark by Robert Masello (Perigree/Berkley, 1994). Little novelty-size reference book on demons, creatures, and apparitions. I really like it as a starting-place to get a clear definition or description of something I’m researching, such as doppelgangers or vampires. Signs, Symbols, and Omens: An Illustrated Guide to Magical and Spiritual Symbolism by Raymond Buckland (Llewellyn Publications, 2003). This is my favorite and most-used of the references I’ve got on symbols. It’s well organized, with good explanatory text and crisp illustrations. Encyclopedia of the Strange, Mystical, and Unexplained by Rosemary Ellen Guiley (Gramercy Books, 2001; reprint edition). Good reference book to have on hand for paranormal, magical, and mystical subjects. Magic, Mystery, and Science: The Occult in Western Civilization by Dan Burton and David Grandy (Indiana University Press, 2004). Informative reference work on paranormal and mystical subjects. Good book for reading a particular chapter on whatever subject you’re researching at the time. The History of Magic and the Occult by Kurt Seligman (Gramercy Books, 1997; reprint edition). A well-organized and nicely-illustrated reference for various magic and occult beliefs up through the 18th century. Occultism: Its Theory and Practice by Sirdar Ikbal Ali Shah (Dorset Press, 1993). This is a compendium of spells, invocations, recipes, and rituals. Dictionary of Gods and Goddesses, Devils and Demons by Manfred Lurker (Routledge and Kegan Paul, 1987; trans. and reprint). An Encyclopedia of Fairies: Hobgoblins, Brownies, Bogies, and Other Supernatural Creatures by Kathryn Briggs (Pantheon Books, 1977). The Encyclopedia of Monsters by Daniel Cohen (Dorset Press, 1982). Monsters: An Investigator’s Guide To Magical Beings by John Michael Greer (Llewellyn Publications, 2002). Weapons: A Pictorial History by Edwin Tunis (World Publishing, 1972). This out-of-print young adult nonfiction book is one of my favorite references. A well-written, well-illustrated, broad survey of weapons and their uses, from pre-history to the 20th century. A Collectors’ Guide to Swords, Daggers, and Cutlasses by Gerald Weland (Cartwell Books, 1991). Beautifully illustrated, this is a good general primer if you need to know the difference between a rapier, a cutlass, and a scimitar, or what the parts of a sword are called. The Complete Martial Arts by Paul Crompton (Bloomsbury Books, 1989). This general survey includes lots of good illustrations of actual fighting moves and exotic weapons. Iai: The Art of Drawing the Sword (alternate title: Iai-Jitsu: Center of the Circle) by Darrell Craig (Charles E. Tuttle Company, 1981). How do you choose, fight with, and care for a sword that you use as a real weapon in your daily life? Read on. The Art of Japanese Swordsmanship: A Manual of Eishin-Ryu Iaido by Nicklaus Suino (Weatherhill, 1995). Step-by-step instructions, with basic illustrations, for using a sword in combat. Sword Fighting Basics by Michael Shire and Rob Valentine (Unicom Graphics, 2003). I picked up this little manual at a convention or festival somewhere. Reenactment societies and serious hobbyists are a great resource for research material. The book is chock full of specific European-style sword-combat techniques and illustrations. Medieval Combat: A Fifteenth Century Manual of Swordfighting and Close Quarter Combat by Hans Talhoffer; trans. Mark Rector (Barnes & Noble, 2006; reprint). This is an extensively-illustrated manual of step-by-step instructions for armed and unarmed combat for the late-medieval European soldier or man-at-arms. Arms and Armor of the Medieval Knight: An Illustrated History of Weapons in the Middle Ages by David Edge and John Miles Paddock (Bison Books, 1988). I’ve done maybe half a dozen short stories set in the Middle Ages, and, boy, did this book come in handy. A Field Guide to Demons, Fairies, Fallen Angels, and Other Subversive Spirits by Carol K. Mack and Dinah Mack (Henry Holt & Co., 1998). The Rite: The Making of a Modern Exorcist by Matt Baglio (Doubleday, 2009). In addition to being informative about exorcism, this book has a very useful bibliography. Demons: The Devil, Possession, and Exorcism by Anthony Finlay (Chrysalis Books, 2002). The Complete Book of Devils and Demons by Leonard R.N. Ashley (Barricade Books, 1996). The Demonologist: The Extraordinary Career of Ed and Lorraine Warren by Gerald Brittle. Demonology: Possession, Exorcism, and the Kingdom of Darkness by Dr. Carson Michael (self-published, 2012). The Fortune Cookie Chronicles: Adventures in the World of Chinese Food by Jennifer 8. Lee (Hachette, 2008). Chinese Americans by Alexandra Bandon (New Discovery Books, 1994). Five-Fold Happiness: Chinese Concepts of Luck, Prosperity, Longevity, Happiness, and Wealth by Vivien Sung (Chronicle Books, 2002). Good Luck Life: The Essential Guide to Chinese American Celebrations and Culture by Rosemary Gong (William Morrow, 2005). Chinese Myth: A Treasury of Legends, Art, and History by Philip Wilkinson (Chartwell Books, Inc., 2007). The Chinese Have A Word For It: The Complete Guide To Chinese Thought and Culture by Boyé Lafayette De Mente (Passport Books, 2000). Chinatown: A Portrait of a Closed Society by Gwen Kinkhead (HarperCollins, 1992). The New Chinatown (Revised) by Peter Kwong (Farrar, Straus, & Giroux, 1996). Tea That Burns: A Family Memoir of Chinatown by Bruce Edward Hall (Simon & Schuster, 1998). Chinatown, New York: Portraits,Recipes, and Memories by Ann Volkwein (HarperCollins, 2007). The Snakehead: An Epic Tale of the Chinatown Underworld and the American Dream by Patrick Radden Keefe (Random House, 2009). Chinatown Gangs: Extortion, Enterprise, and Ethnicity by Ko-Lin Chin (Oxford University Press, 2000). Murder In Peking: How the Murder of a Young Englishwoman Haunted the Last Days of Old China by Paul French (Penguin, 2012). Haunted Christmas: Yuletide Ghosts and Other Spooky Holiday Happenings by Mary Beth Crain (Globe Pequot Press, 2009). The Everything Family Christmas Book by Yvonne Jeffrey (Adams Media, 2008). The Winter Solstice: The Sacred Traditions of Christmas by John Matthews (Quest Books, 1998). Vampires, Burial, and Death: Folklore and Reality by Paul Barber (Yale University Press, 1988). Interesting academic account of traditional vampire folklore and how it differs from the fiction-based vampire tropes that we’re familiar with. Includes historic instances of official vampire investigations. The Complete Idiot’s Guide To Vampires by Jay Stevenson, Ph.D. (2009). The Dead Travel Fast: Stalking Vampires From Nosferatu to Count Chocula by Eric Nuzum (St. Martin’s Griffin, 2007). Funny yet informative exploration of our fascination with vampires. Piercing the Darkness: Undercover with Vampires in America Today by Katherine Ramsland (HarperPaperbacks, 1999). Journalistic account of the vampire subculture—people who are obsessed with vampires, who want to meet one, or who claim to be one. The Science of Vampires by Katherine Ramsland, Ph.D. (Berkley, 2002). Vampires by Nigel Suckling (Facts, Figures, and Fun, 2006). Handy little reference that includes all sorts of fun and odd facts. Vampire: The Complete Guide to the World of the Undead by Manuela Dunn Mascetti (Viking Studio Books, 1992). Vampiro: The Vampire Bat in Fact and Fantasy by David E. Brown (University of Utah Press, 1999). New York Underground: The Anatomy of a City by Julia Solis (Routledge, 2005). Good photos and illustrations. Forgotten New York: The Ultimate Urban Explorer’s Guide to All Five Boroughs by Kevin Walsh (HarperCollins, 2006). Detailed, offbeat guidebook. Access All Areas: A User’s Guide to the Art of Urban Exploration by Ninjalicious (Infilpress, 2005). A serious handbook for urban explorers. Witchcraft, Mysticism, and Magic in the Black World by James Haskins (Doubleday, 1974). Aimed at young adults, this is a good introduction to the subject of how West African religions developed into syncretic faiths in the New World. The Serpent and the Rainbow: A Harvard Scientist’s Journey Into the Secret Societies of Haitian Voodoo, Zombis, and Magic by Wade Davis (Touchstone, 1997). An ethnobotanist explores the phenomenon of zombiism in Haiti, searching for scientic cause and effect, while learning about vodou. The Complete Idiot’s Guide to Voodoo by Shannon R. Turlington (2002). Mama Lola: Vodou Priestess in Brooklyn by Karen McCarthy Brown (University of California Press, 2001). A look at how this rural, Caribbean religion is transplanted to urban New York. Vodou by Manuela Dunn Mascetti (Chronicle Books, 2002). This is a little novelty book with good text and terrific illustrations. The Haitian Vodou Handbook by Kenaz Filan (Destiny Books, 2007). Faces in the Smoke by Douchan Gersi (St. Martin’s Press, 1991). An account of the author’s experiences with mysticism and magic in various cultures, including Voodoo in Haiti. Spirit of Harlem: A Portrait of American’s Most Exciting Neighborhood by Craig Marberry and Michael Cunningham (Doubleday, 2003). Harlem Travel Guide by Carolyn D. Johnson & Valerie Jo Bradley (WelcomeToHarlem.com, 2010). Touring Historic Harlem: Four Walks in Northern Manhattan by Andrew S. Dolkart and Gretchen S. Sorin (New York Landmarks Conservancy, 1999). Hip Hoptionary: The Dictionary of Hip Hop Terminology by Alonzo Westbrook (Broadway Books, 2002). Well-organized and concise. Manhattan Mafia Guide: Hits, Homes, & Headquarters by Eric Ferrara (The History Press, Inc., 2012). Raised in Little Italy, the author is a historian who also gives excellent walking tours via the Lower East Side History Project. The Way of the Wiseguy by Joe D. Pistone (Running Press, 2005). Good general primer on wiseguy subculture. Donnie Brasco by Joseph D. Pistone (Signet, 1997). Autobiographical account of the author’s years as an FBI agent working undercover in the mob. Octopus: The Long Reach of the International Sicilian Mafia by Claire Sterling (Touchstone, 1991; reprint). Wiseguy by Nicholas Pileggi (Pocket, 1990). Crime reporter’s account of life in the mob, as told to him by a former Lucchese family soldier who’d entered the Federal Witness Protection Program. Supernatural Vanishings: Otherworldly Disappearances by Rodney Davies (sterling, 1996). Many anecdotes about purportedly supernatural disappearances, as well as an ample supply of theories about the phenomenon. Making It On Broadway: Actors’ Tales of Climbing to the Top by David Wienir and Jodie Langel (Allworth Press, 2004). Eye-opening and engaging account of life on (and off) Broadway.